Most long time gamers have those ghosts of gaming past in cupboards, away in storage or up in their loft, and occasionally we get the urge to play through them again hoping to re-live the exciting memories and hope for fun that once was. But sometimes we all look at something with rose-tinted goggles. The first game that would spring to mind for me would be Sonic & Knuckles Collection - My very first PC game. Recently after seeing it go for cheap on Steam I went ahead and re-purchased it. I was rather excited, as I used to spend hours on this game although I never did actually complete it (Gimme a break I was 7), so I sat down put on my headphones and began and for the first few Minutes - It was glorious! However after that initial 'I remember this! I remember that' wore off, I began to notice that It wasn't as great as I remember. The first few zones were easy... I mean really easy. Within less than 20 or so minutes I was in the Carnival Night Zone, and I met my nemesis from my childhood - that god-damn barrel (pictured above), but I figured it out soon enough, you simply press up and down... Anyways, after that annoyance dealt with, I continued and managed to complete Sonic 3 within an hour. Sure there were some parts that were a little tricky, but the experience of hours of play in my youth and having more common sense now made the game a whole lot easier and, well, a bit boring. Another game that I have recently played from my younger years is Rollercoaster Tycoon - a game I spent a lot of time on back in the year 2000. And this had the opposite effect to sonic, I enjoyed re-playing it so much I ended up buying Rollercoaster Tycoon Two (plus x-packs) from amazon, for a steal of a price. However I still couldn't help but be critical on the the game and definitely thought it could do with some added features. Shut up and spend your money guest 2326! Firstly, including a 'speed up time' feature would be a god-send, too often I found myself staring blankly at the screen waiting for cash to come in and too many times, I had completed my objectives but had to wait 3 years of game time to finish the park (which also makes me think once your objective is complete you should finish that park anyway...). Also a few times I found it difficult to navigate and a full dynamic 360 view would be welcomed. But after I thought of these points I had to laugh at myself. I was critiquing an old game for features it didn't have and maybe couldn't even support back when it was developed. and for what it was, it was a damn good game. However some games always remain timeless classics in the mind of the player and for me the only thing I'd ever change about the following three titles would be the Graphics - Final Fantasy VII, Final Fantasy IX and Final Fantasy X (sorry FF Fans, VIII was good, but I didn't enjoy it as much as the others). When I found these games again, I decided to get hold of an emulator and play them on my PC. The memories just came flooding back, and I diligently played each game through until the end. 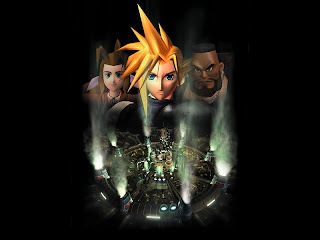 If dated graphics don't offend you, play through FF7. Admittedly, I didn't play them as I did when I first played them. I was replaying them more for the story rather than unlocking all the secrets and spending hours doing tedious stuff (Lightning dodging in FFX anyone?). I did do a few things though, such as training gold chocobo's in 7 & 9, and getting the more secret of Aeons in 10. I think I wouldn't change these games (except graphically) because of the time I had poured into each title. I'm fairly sure that with each one I probably spent near 70 hours playtime when I went through them the first time. But looking back and playing through these games shows me just how much the gaming industry has changed, titles now are easier to get into, easier in (default setting) difficulty, and have a plethora of more features. Think of the tutorials you get in games nowadays - usually a whole level devoted to teaching you, whereas sonic's tutorial was the manual you had in the box and FFVII's tutorial was speaking to NPC's and slogging through a lot of text. 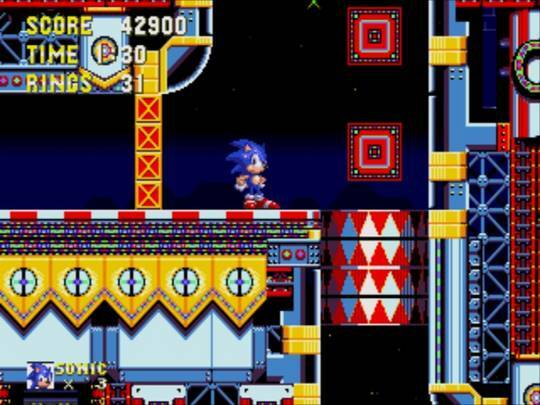 Also, these older games don't have multiple difficulty settings, if you were stuck at something you had three choices - The path of the Hero (get better and keep trying), The path of the Rogue (try and find cheats if your parents will let you use the dial up internet connection, at least for those my age) or The path of the Coward (ragequit). Now if things are tough you can just dial down the difficulty in the options. A good example is Skyrim, on the hardest difficulty - Dragons can very quickly kill you dead and are scary, but on easy they are about as much of a threat as one of the rabbits you see running across the landscape. And yet gaming hasn't just changed for the worse, as technology progresses, so does the ability to implement options and features of convenience. You'll hear a lot of 'pro' gamers go on about how things were better 'back in the day' but in honesty if you gave them a game now that doesn't include things such as auto-save, level select, difficulty settings and game over meaning game over, they would criticise the game into oblivion. It is strange to take a trip down memory lane and look at these games that don't include so many features we see as standard now. It shows you how gaming is evolving and the progress it has made over the past couple of decades. Some titles have lost their way and others have shone through and are still going strong, but it's always fun to have a look at where they began. I remember my first computer game ! Billy the Kid Returns, an MS-DOS game from 1994. 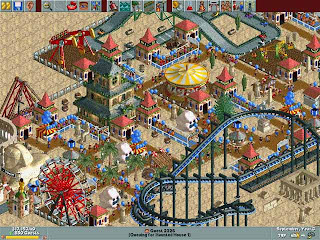 Oh, yeah - I was just thinking about RollerCoaster Tycoon the other day and how much fun it would be to try it again. Dark Souls set for PC release? Bitter After Taste - Unexpected endings.